The week marks the end of the era where we frequently enjoyed dining at the Best Austin Restaurants. Why? Because our Austin kids, daughter Allison & son-in-law Mike, are MOVING BACK TO HOUSTON (that’s where we live) with my 3 month-old-grandson. We are so excited! Allison & Mike moved to the Austin area 10 years ago when they left for college. They earned their degrees, started their careers, got married and had a baby. And all of that time we’ve made regular visits to see them that always included going out to great places to eat. Austin is a town for foodies. It has every kind of restaurant you can imagine. It had food trucks way before food trucks were cool. Delicious Mexican food, spicy Thai food, food for vegans and those who only eat grass-fed, organic, antibiotic free, cage free, mountain roaming, fresh water swimming food, and the best Texas Barbeque. It’s all there. Now, it’s not like we can never go to Austin again. It’s only a 2 ½ hour drive. But since our kids are “coming home”, we just won’t have the occasion to make as many trips. 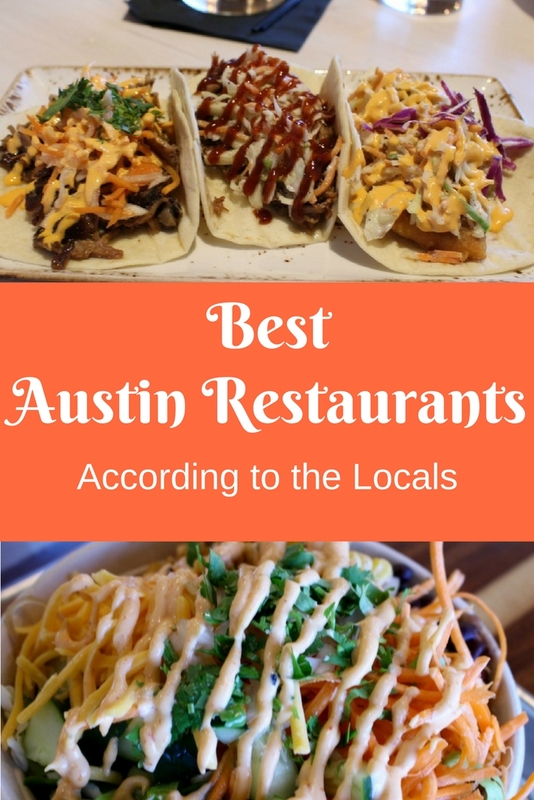 So as we say goodbye to frequent visits to this beautiful Central Texas city, here are 6 of my favorite Austin eateries. In no particular order…. The Peached Tortilla, like so many Austin restaurants, started as a food truck and is housed in a re-purposed building. It looks like it might have been an old Firestone Tire Store. Their menu is Southern comfort food with an Asian flair. How’s that for a mash-up? We’ve eaten there for dinner and Sunday brunch. Both are outstanding and moderately priced. Charred Brussels – OMG – these will make a vegetable eater out of anybody. Brussels Sprouts charred and cooked with bacon jam, parmesan, and lemon oil. 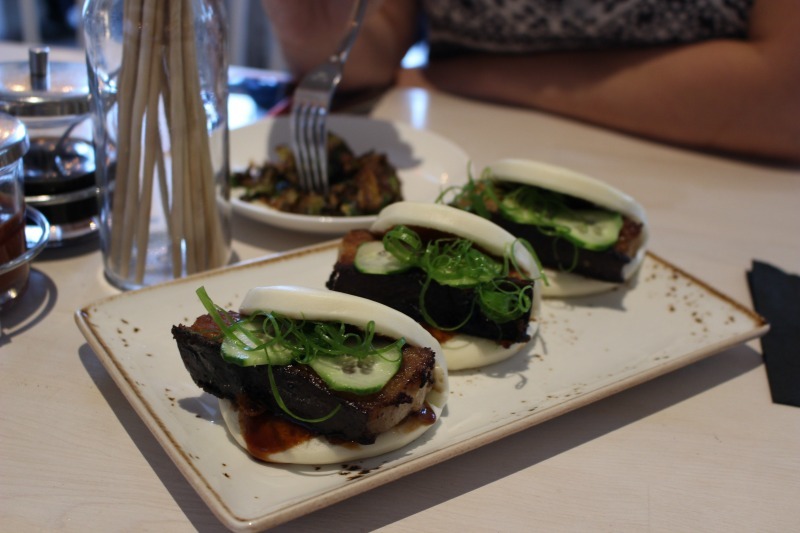 BBQ Pork Buns – We split an order of these delightful buns stuffed with Vietnamese braised pork belly, green onions, cucumber and Chinese BBQ sauce. But I could eat a whole order of these for my entrée. 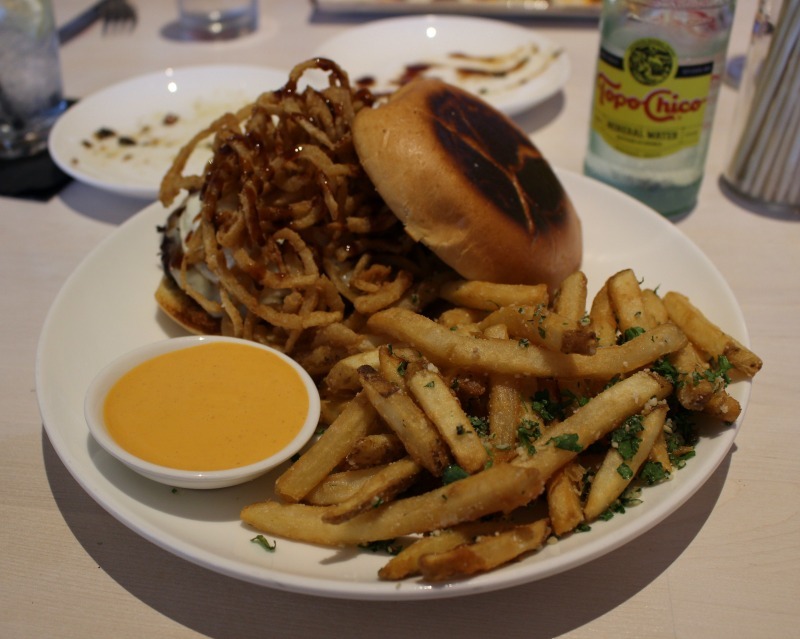 The JapaJam Burger – A 6 oz. burger topped with tomato jam, pepper jack cheese, fried egg, tempura onion strings & Chinese BBQ Sauce. Crunchy Fish Taco – Crusted white fish, apple slaw, chili aioli & purple cabbage. No matter what you get at The Peached Tortilla, you are guaranteed something delicious and original twist. Foreign & Domestic has a neighborhood vibe with a fine dining menu. Housed in part of an old strip center, this restaurant is ultra casual and only seats 47 people. Reservations are a must. They are famous for their Gruyere & Black Pepper Popovers, which were featured by Guy Fieri on Diners, Drive-Ins and Dives. You have to try these as your appetizer! The menu changes a bit, depending on what is in season. When we go for dinner, someone in the family usually orders one of their seafood dishes. The last time we went, I had a beautifully prepared Branzini. The Roasted Wagyu Beef Culotte with Diane Sauce is melt in your mouth delicious! And my husband frequently enjoys their burger with aged cheddar, green tomato jam, and pickled onion. Top it with a fried egg and you’ll be full for a week! This is the place to get the best breakfast and lunch sandwiches in Austin. 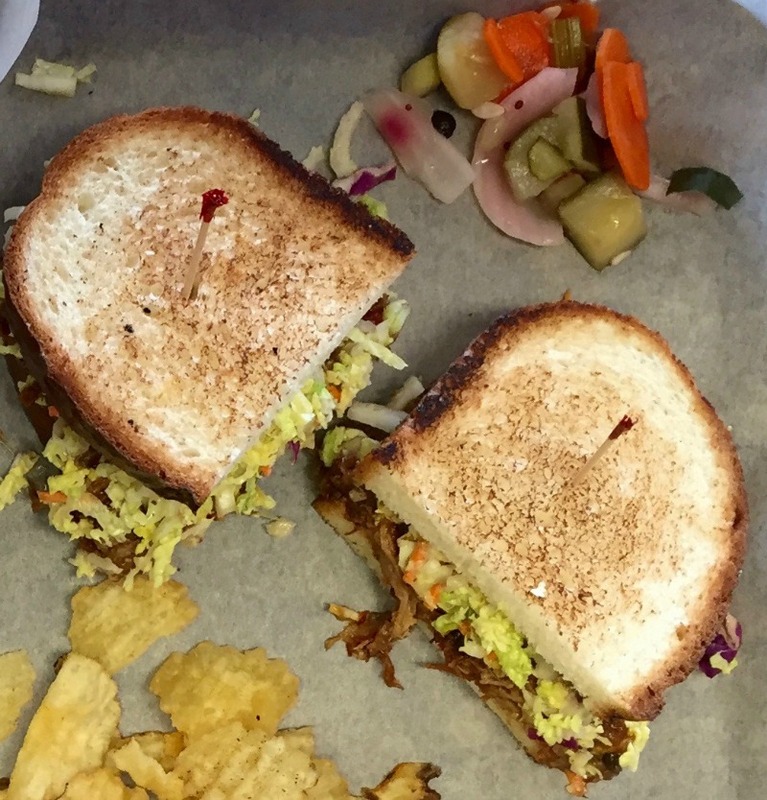 These are hand-crafted sandwiches made with bread and pickles that are made fresh on the premises. The ingredients are high quality and include locally sourced and sustainable items. All this adds up to some yummy, gourmet sandwiches. One of my favorites is the Thai Chicken with jalapeno cabbage slaw and cilantro. 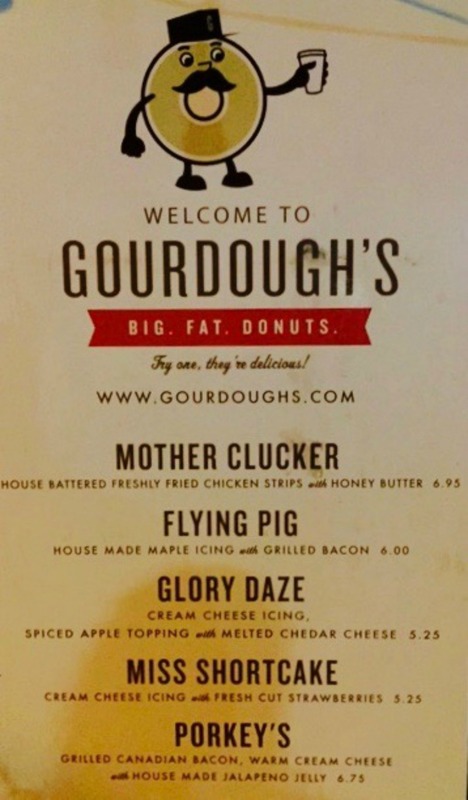 Other popular items include the Smoked Duck Pastrami (with the restaurant’s signature, made in-house rye pickles), the Creole Catfish, and the infamous Noble Pig Sandwich (which gathers spicy ham, pulled pork, provolone, and bacon). 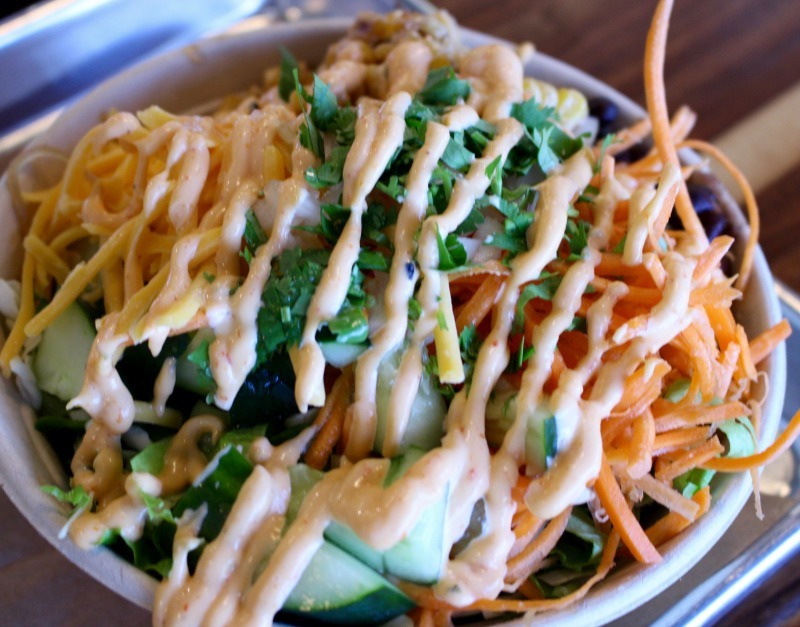 Chi’Lantro is a Korean Barbeque inspired restaurant with a mix & match menu that allows you to customize your own salads, rice bowls, and noodle bowls. You start with your base, add your Korean BBQ inspired protein, greens, toppings and dressing. My lunch selection on the day we ate at Chi’Lantro was a noodle bowl made with their famous sweet potato noodles, spicy chicken, lettuce, spinach, cucumbers, cilantro, guacamole and topped with Chi’Lantro Magic Sauce! YUM! Other Korean BBQ Inspired proteins include beef ribeye, spicy pork, and marinated tofu. You could eat one of these creations yourself, but you’ll most likely want to split one with a friend. This is not some light dessert after a big meal! There are SO MANY great places to eat in Austin. This post just barely scratches the surface. Are you an Austinite? Have you visited Austin? Where do YOU like to eat? This austinite is going to choose not to hang her head in shame 🙂 but get out there and get to the restaurants that she’s missed in her hometown!! 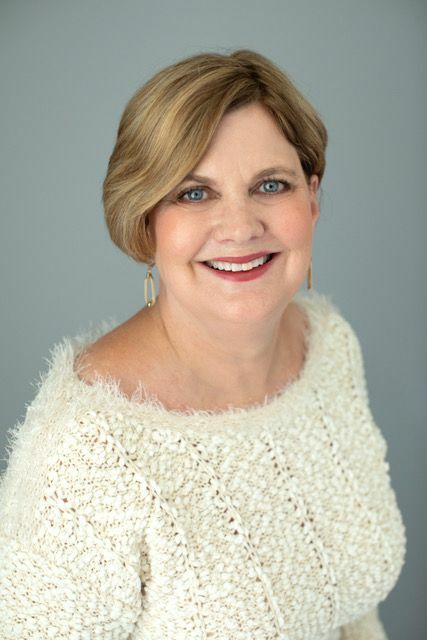 Carla – I think I may have known you were an Austinite, but forgot about. I’m the same way about Houston – we tend to stick to our tried & true restaurants in our neighborhood. But give some of these a try. They are really good! This makes me want to go straight to Austin immediately. These meals look amazing. And I haven’t had breakfast yet – so I’m also starving double-time now! Andrea – you sound me. When I am hungry, I end up reading a bunch of food related posts! One of these days we are going to make it to Austin–my husband LOVES food! So I’m pinning this for that time! Of course we’ll have to get together when we make it out there!! If you get to Austin, we’ll drive over to meet you. One of the prettiest areas of Texas! So glad to have so me suggestions to try the next time I’m there! I thought of you when I was writing this, because I know you make some trips to Austin! Let me know if you try any of these and how you like them, Shelley! 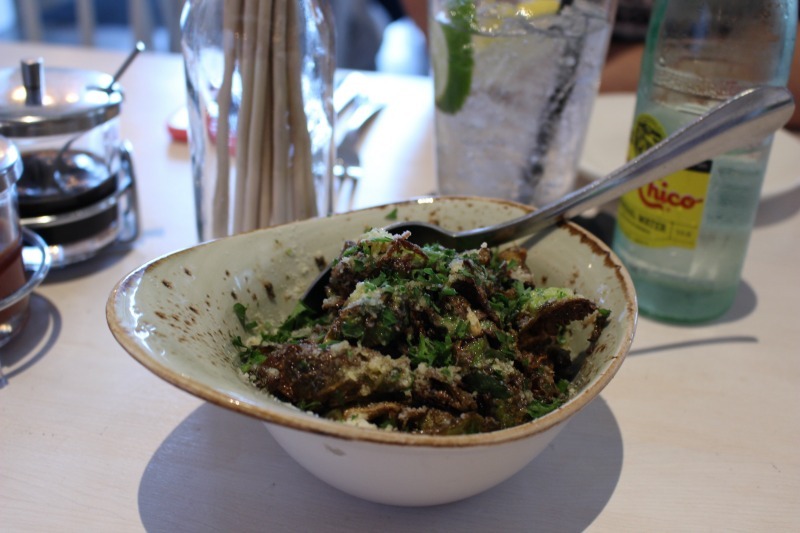 Bonnie – there are just no end of great places to eat in Austin. I have never been to Salt Lick, but everybody I know has. Have not heard of Fonda San Miguel. I would never have chosen mole pablano either! But you do make it sound good! You have done some serious research there and it looks good and I am sure tastes better. Thanks for noticing my extensive research, Kathleen! 🙂 It was fun! Oh, thank you, thank you, thank you for saying what you said about Chi’Lantro! I went to Chi’Lantro on Congress Avenue, and it was amazing. I guess there are several of them, there’s also a listing for a “Chi’lantro Korean + Mexican Fusion”. I guess it’s a chain of Korean BBQ places. But the menus listed are different. Maybe it’s just a common name. But I know I enjoyed the hell out of that sweet potato stuff. I’ve noticed that the menus are different too, Kaddie. I’ve only eaten at the one location. YUM! I love Austin! Thanks for these recommendations! Oh Cathy I’d love to try them all. I love brussel sprouts and that burger looks divine. Thanks for sharing with us at #overthemoon link party. I’ll just have to visit Austin on my next visit to the States. This looks like an amazing place. Food looks so delicious. So many great restaurants in Austin! Food looks really amazing. I think I should visit Austin soon. 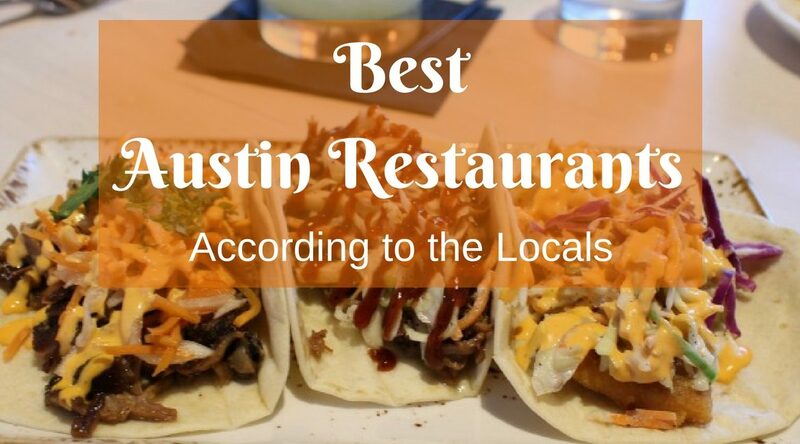 Chris – Austin is a great town for foodies.